Doing Banff on a Budget? Trying to do Banff on a budget and yet want the privacy and amenities only a hotel-type accommodation can offer? Have a look at these!! There are high season, low season and shoulder season rates, so check the dates carefully and if you must stick to a budget, find out when cheaper rates apply. 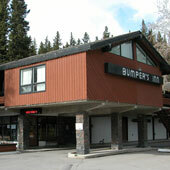 This 39-room inn, located on the quiet end of Banff Ave offers rooms with either one queen or two double beds along with satellite TV, coffee makers and hairdryers. The Homestead Inn offers 27 guestrooms with queen and double beds. Room amenities include TV, in room coffee/tea service, hair dryer and mini-fridge. 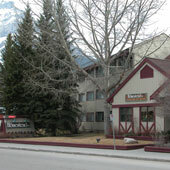 Located right in the heart of downtown Banff, next to the restaurant Melissa's Misteak (famous for their breakfasts!) and close to everything! This inn has 52 guest rooms which include cable TV, coffee/tea makers, mini fridge and air conditioning. 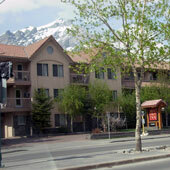 Free Wireless Internet and complimentary heated underground parking available. The Red Carpet Inn also has pet friendly rooms! Please inquire.